A new year has arrived, and from all indications, it has the potential for being even better than last year (which was certainly an improvement over the year before). 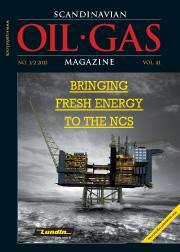 Activities across the North Sea are moving at a dizzying pace, making for exciting times. For us, this year means celebration as we commemorate 40 years since the first issue of Scandinavian Oil-Gas Magazine was published. We’ll be building up to a special edition at year’s end – so consider this as a kind of “save the date” card. But in the meantime, we have a busy year planned, so we’d better get to it. One of our big topics to start each new year is subsea. From Douglas Westwood, we hear about the subsea hardware market, which shows long-term growth potential, especially in Africa, Asia-Pacific and Brazil. Subsea technologies are key to unlocking reserves that would have been impossible to access in the past. The report emphasises that the sector has become a sizable opportunity for oilfield service and equipment companies. Looking to our own backyard, we have a subsea report that focuses on companies that have made a home in the Oslo area, a trend that began in the 1970s – and has been picking up momentum ever since. Subsea production relies on pipelines, we hear from Theon Limited, who discusses the level to which the offshore industry can openly confront and alter its approach to subsea pipeline and flow line design. Taking the correct steps at an early design stage can ensure efficient and robust subsea pipelines. If offshore drilling rigs are among your interests, we have look into some of the current trends in the market. Worries over possible weakening of day-rates as well as the repercussions of cancelled rig orders in Brazil are among the factors that have put the rig market into flux. Another topic we traditionally include in the year’s first issue is decommissioning. This time around, we hear from Barclays Corporate Banking, and while decommissioning may be inevitable, technologies that have lead to improved recovery rates have also meant that infrastructure – with the help of upgrades and expansion – now serves longer than imagined. We also hear from Beroe Consulting about the latest trends under the “Green Drilling” umbrella. Far from just a catch phrase, the drive to control and reduce emissions can go hand-in-hand with cutting operations costs. And we have much more, including a look at the Arctic region by KPMG, with a focus on tax issues in Greenland, an area that’s poised to be a significant hydrocarbons supplier. An improved training centre at Maersk Training and new recruitment services – VS People – offered by Viking SeaTech are also among the features you’ll find in this issue. Look for us as you attend any of the many conferences scheduled for the year – and be sure to let us know if you have any news of your own that you’d like us to help you tell the world.